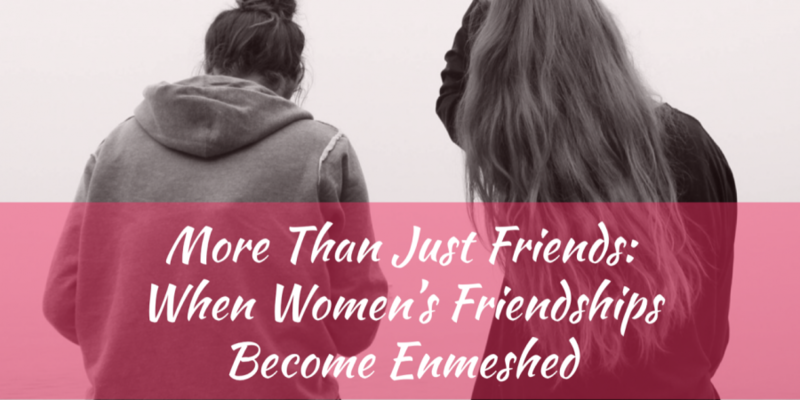 I have had conversations with many women who have shared their stories with me concerning friendships that have become emotionally enmeshed. Oftentimes, this is something they did not see coming, and they are now wondering what to do. To cause to become twisted together, entangled, or caught in a snarl or entwining mass. To involve in a complicated situation or in circumstances from which it is difficult to disengage. Other people (spouses, friends, co-workers, family members, etc.) are perceived as a threat to the friendship. Having all emotional needs met by one particular friend. Co-dependent aspects are present in the relationship. Feeling as if one person cannot live without the other. Even if it’s never expressed out loud, having the feeling as if she is “yours”. (For those who are married) Having persistent thoughts about leaving your spouse for another woman who is filling your emotional needs. Any or all of these aspects can be present in a friendship that has become emotionally enmeshed and entangled. 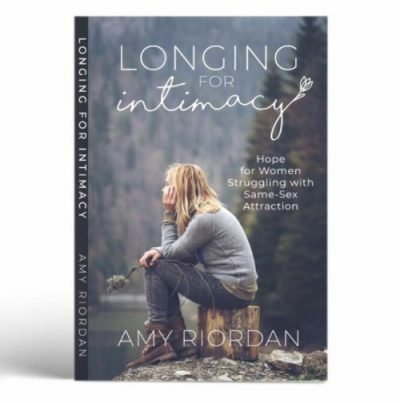 The relationship can also become romanticized and later physically intimate, even if neither woman has been attracted to another woman before. Do you see yourself in this place or headed toward this place? I speak to many women who find themselves in this place, and they didn’t see it coming. Sometimes they did sense what was happening, but they were too entangled to know how to get out before everything snowballed. Emotional enmeshment between women can happen for many different reasons. This can happen in friendships, mentoring, counseling relationships, and close work relationships, just to name a few. These can be friendships that intensify during a particularly stressful time of life, or they can even be friendships that are formed at work or in an environment where you are together many hours each week. Many times I will speak to a woman who is feeling unfulfilled in her marriage (for any number of reasons). She turns to a female friend for emotional support, and without realizing it she starts to depend on that friend in an unhealthy and even co-dependent way. What started out as a supportive friendship can turned into an entangled web of emotions that can be difficult to break away from. This may sound unlikely or uncommon, but I have seen this happen time and time again. Women who have never been in an emotionally enmeshed or sexual relationship with another woman before sometimes do not guard their hearts when the relationship starts to become unhealthy. They often do not see the likelihood of anything happening, and they are caught off guard when it does. What can I do if I am caught up in this kind of situation? First and foremost, we need to recognize that Jesus is the only one who can fill our need to be fulfilled. We, as women, are created to be relational. There is a desire within each one of us to connect with others, but that connection becomes unhealthy when we start to rely on others for something that can only be supplied by God. This does not only pertain to women and friendships, but also to marriage and any kind of relationship. For those of us who are married, our spouses cannot fulfill us. We cannot fulfill them. We were not created to take this place in each other’s lives. Only Jesus can fill that place. If you are caught up in an emotionally entangled relationship with another woman, you may wonder if you can ever break free. If you know my story, you know I have been there as well. I completely understand how difficult it can be to break free, but I also know that it is possible to break free and to be restored. Be transparent with God about your situation, if you have not done so already. He is not shaming you or scolding you. He is the one who can lead you to freedom. If you are not sure how to voice all of this to Jesus, write it down and try reading it out loud. Ask Him to forgive you for any sins you may have committed in this relationship. This can be difficult to hear, but relationships like this are a form of idolatry. If it turned into a sexual relationship, confess this to Him as well. He will forgive you. Be completely honest with yourself and with Him. There is a measure of freedom that can be found just in doing this. It can be incredibly difficult to confide this to someone, but James 5:16 urges us to confess our sins to one another so that we may be healed. Confessing our sins and strongholds with someone who will pray for us is powerful. It will be extremely important for you to set healthy boundaries for all of your relationships. The relationship you have been involved in may need to be one that you break away from for a time or maybe even forever (especially if the relationship became sexual). Setting healthy boundaries for your friendships in the future will help protect you, your friend, and all of your relationships as a whole. This is not because you are a corrupt person who cannot be trusted, but this is something that all of us need to maintain healthy friendships. Recognize grieving as part of the process. Breaking away from an emotionally enmeshed friendship (whether it became sexual, or not) will involve a grieving process. This is to be expected, and it is also another reason why I encourage you to find a safe and trusted person (friend, counselor, pastor, mentor, etc.) to talk to as you are working through this process. The grief can feel overwhelming at times, but as you continue to rebuild your life with healthy boundaries and new relationships, Jesus can heal that ache. Keep surrendering your pain and tears to Him. It is normal to feel a great loss when letting go of a relationship like this. This is not a cut and dry process, and wisdom will be needed to decide what boundaries will look like if you work with this person or go to church with her. You may be fearful or reluctant to build a close friendship with another woman again. I have been there as well, so I completely understand this fear. We were built for connection with others! I encourage you to keep looking to Jesus for your fulfillment. Keeping that in mind, while establishing healthy boundaries, is a great foundation to building a healthy friendship with another woman again. 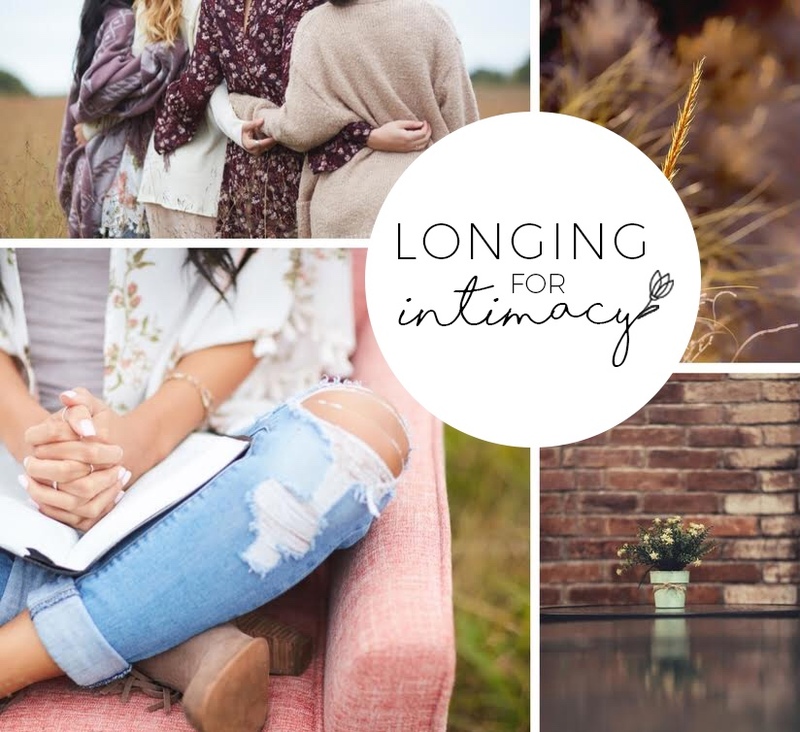 Lean into Jesus even more during this time and develop deeper intimacy with Him. This all takes time. He’s not shaming you, but He is drawing you in closer as you lean into Him. This is all a process, but it’s one where (as you continue to lean into Him) Jesus can heal your heart, continue to set you free, and He will help you build and maintain healthy friendships along the way. *Are you interested in me making a video on this topic? I am considering this and would like your input. Let me know in the comments (or contact me here) if you would be interested in hearing more about this.